According to Metromile, 65% of people in the U.S. drive fewer than 200 miles per week yet traditional car insurance companies don’t reward these drivers with lower insurance premiums. If you fall into this bucket of drivers, Metromile insurance could save you money because it offers a new twist on an old business. Customers are charged on a pay-per-mile basis with lower base rates than most other auto insurance companies charge. Car owners who don’t use their vehicles very often are a good match for Metromile. For example, if you’re a city slicker who takes public transport often or a retiree whose car sits idle for days at a time, Metromile car insurance may cost you less than you are currently paying. For drivers with low annual mileages, Metromile is currently available in CA, IL, NJ, OR, PA, VA & WA. Is Metromile Right For You? From our research, Metromile customers were generally pleased with their coverage and car insurance costs. In spite of serving a large number of customers, the auto insurer still earns an A+rating from the Better Business Bureau. 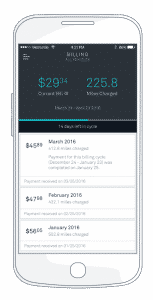 Metromile provides cheap insurance by charging drivers based on how much they drive rather than basing prices on their driving record. If you live in one of the eight states where this insurance is available (Arizona, California, Illinois, New Jersey, Oregon, Pennsylvania, Virginia, or Washington) and don’t drive frequently, it may be the best insurance option for you. Metromile’s pay-per-mile plan makes it cost-effective for people who drive less than 10,000 miles per year. If you live in a city or otherwise have little reason to drive your car, Metromile allows you to maintain insurance without paying a lot of money. If you need help figuring out some aspects of car ownership, you’ll enjoy using the Metromile mobile app. The app can help you locate the area where you parked your car, track how much you spend on gas, and give you information about your car’s health and where to find a mechanic if you need to resolve a problem. If you travel with pets, the collision and comprehensive insurance from Metromile offers a good deal. With this type of coverage, if your dog or cat is injured in a motor vehicle accident, Metromile covers the first $1,000 of the pet’s medical bills. If you don’t know how to change a tire, are prone to forgetting your keys in the ignition, or have an older car that is at risk of breaking down more often, the roadside assistance available with Metromile may be just what you need. This feature allows you to get roadside assistance should something go wrong while you’re out and about, and it may be cheaper than signing up with a separate provider for this service. Are you a one-car family? If you are, your car ending up in the shop after an accident could be a major inconvenience. But with Metromile, it’s a little easier. Metromile covers up to $30 a day in rental costs for 30 days if you have to rent a vehicle while yours is being repaired after an accident. Pro Tip: Track your trips and projected billing in real-time using the Metromile app. Policyholders receive a Pulse device that connects to their cars, tracks mileage, helps to locate the car if it is lost and notifies them when street cleaning is scheduled. Once you sign up, you receive the Pulse device that easily connects to your car and monitors how many miles you drive each day. The device links to the Metromile mobile app, which alerts you when street sweeping is scheduled (in certain markets), so you can avoid parking in penalty zones. It also includes a car locator, so you don’t have to worry about finding your car in a large parking lot, a big city, or at an airport. Your monthly payments are then calculated by adding a per mile rate to a base rate. Metromile quotes are based on your age, vehicle type, and driving history similar to other insurance companies but are invoiced using a base rate plus a per-mile rate. 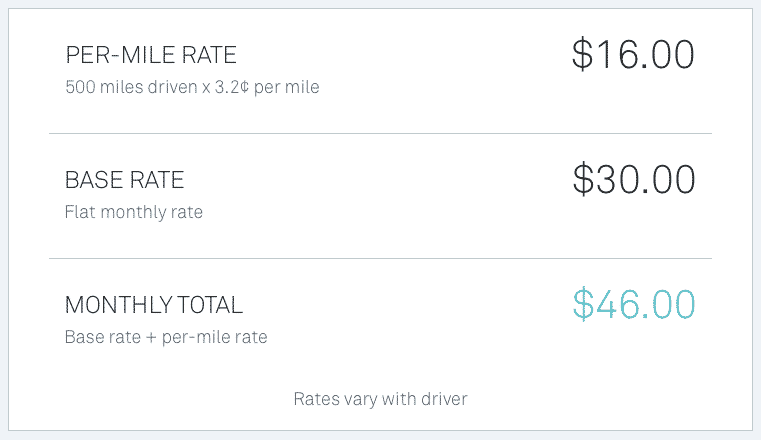 Metromile pricing is calculated using a base rate plus a few cents per mile. For example, if you paid a base rate of $30 plus 3.2 cents per mile for 500 miles then your total monthly premium would be $46. At the end of the month, your bill is calculated as your base rate plus how many miles you drove at your per-mile rate. The per-mile rates will vary based on each driver. Just like other auto insurance companies, age, vehicle type, and driving history are factors considered in quoting you a base rate and a per-mile rate. If you drive over 250 miles in a day, you will not be charged any extra costs. In New Jersey, any mileage over 150 miles incurs no cost. Unlike some other insurers, Metromile doesn’t consider how hard you brake or how fast you drive. Metromile auto insurance coverage is similar to what Geico or Progressive offer. In terms of geographical coverage, Metromile operates in the states of Arizona, California, Illinois, New Jersey, Oregon, Pennsylvania, Virginia, and Washington. Metromile is a low-cost alternative insurance provider to Geico and Progressive for drivers who rack up low mileages annually. The Metromile mobile app includes fringe benefits like a street cleaning alert, trip data, and a car locator. ✅ Low Rates: For low-mileage drivers, Metromile’s base rate plus per-mile rate billing can save as much as $500 annually. ❌ Privacy Concerns: If you are worried about your movements being tracked, you can turn off the GPS locator. ✅ Lost Car Locator: Metromile can locate your car if it is lost using the same device that tracks your mileage. ❌ Coverage Area: Metromile operates only in the states of Arizona, California, Illinois, New Jersey, Oregon, Pennsylvania, Virginia, and Washington. ✅ Street Cleaning Alerts: You can avoid penalty charges for parking in street sweeping zones by receiving alerts from Metromile on your mobile app. ❌ Variable Billing: Some customers don’t like the idea of billing amounts changing based on the number of miles driven, especially when taking road trips. ✅ Track Gas Spending: After signing into the Metromile login, track how much you spend on gas, as well as distance and speed data on the Metromile mobile app. ✅ Penalty Free: Policyholders are not penalized for driving speeds or braking. ✅ Service Alerts: The Metromile mobile app informs you when your car needs to be serviced. ✅ Metromile Vs Geico: Compared to Geico, Metromile claims it could save customers as much as $500 annually. ✅ A+ Rating: The Better Business Bureau awards Metromile an A+ rating. Metromile has fewer complaints than similarly sized auto insurers. The grumblings from policyholders usually fall into one of three buckets. A tracking device called Pulse is used to count mileage amounts and some customers don’t like the idea of Metromile tracking their movements. Privacy buffs can choose to turn off tracking from an online dashboard – it is purely an optional feature. If you choose to turn off the location-based tracking feature then some peripheral services, such as finding your car if it is lost, will no longer be accessible. Some policyholders prefer a predictable monthly bill versus a variable one. Although you won’t be charged the same amount each month (unless you drive the exact same amount each month to the mile! ), we recommend you pay attention to the blended savings over a multi-month period. While the billing may spike over summer months for example, it may be significantly lower over the winter months, depending on your daily habits. It may turn out that even with the spike, your annual car insurance cost is significantly cheaper with Metromile, though the amount you pay in a single month is higher than you may have paid elsewhere. Does Metromile offer full coverage? Metromile provides four levels of liability protection in addition to choices for comprehensive and collision deductibles. What if I go on a roadtrip? You won’t be penalized if you drive more than 10,000 miles because you are only charged on a per mile basis up to 250 miles per day (or 150 miles per day in the state of New Jersey). When you purchase a policy, you are charged for your first month’s base rate plus any required pre-payment. At the end of the first month, you will be charged for the next month’s base rate plus any miles driven during the previous month. What factors does Metromile consider when issuing quotes? Like other auto insurance providers, Metromile factors in age, driving history, vehicle type, credit history, and duration of prior insurance. When you compare Metromile vs Geico, Metromile vs Progressive, Metromile vs Geico, Metromile vs AAA, Metromile vs State Farm, Metromile vs Allstate, and Metromile vs Esurance, the odds are you could save as much as $500. That’s because most car insurance companies charge customers a monthly premium that factors in age, gender, car model, and other standard factors. But what if you own the same car as your neighbor who is the same age as you, but you drive a lot less, shouldn’t you pay less for your auto insurance? Metromile insurance instead rewards customers who drive less with lower car insurance premiums. The base rate monthly plus a per-mile rate billing means that if your car is locked up in your garage most of the month you pay less than you would at another auto insurance company. According to Metromile, drivers who rack up 200 miles per week or fewer can save as much as $500 annually compared to Geico and Progressive. Metromile provides a lot of fringe benefits too, including sending you alerts when street cleaning is scheduled to take place, trip data to see how much you spend on gas, and providing a lost car locator to help you track down where you parked your car. Where Metromile loses a few points is that it doesn’t have nationwide coverage yet and some customers find the variable pricing frustrating. 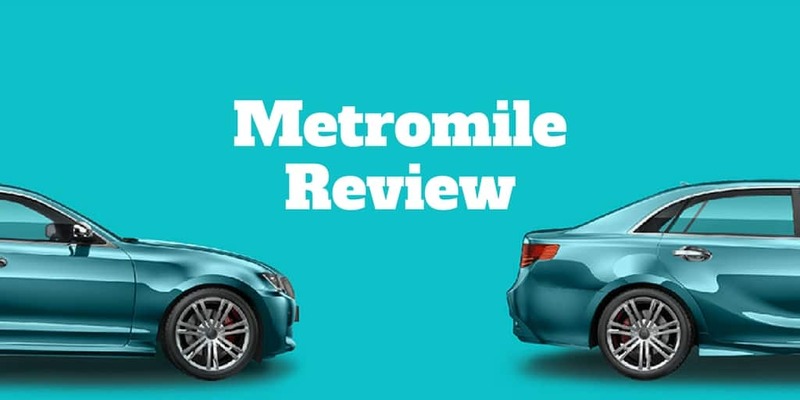 The bottom line is if you don’t drive often and are paying a high insurance premium elsewhere, Metromile is worth checking out and may very well save you money.